Pull up on the #2 Tendon Back Plate Cable Release Button above the Cable Tensioning Dial and pull out the #2 Tendon Back Plate as far as it will go. Then slide the X8 over your leg and center the Patellar Shell over your kneecap while bending your leg. The brace should fit snug on the sides of your knee. If it is loose or too snug, choose the appropriate, included Patellar Shell Pad to achieve a snug fit against the sides of your knee. 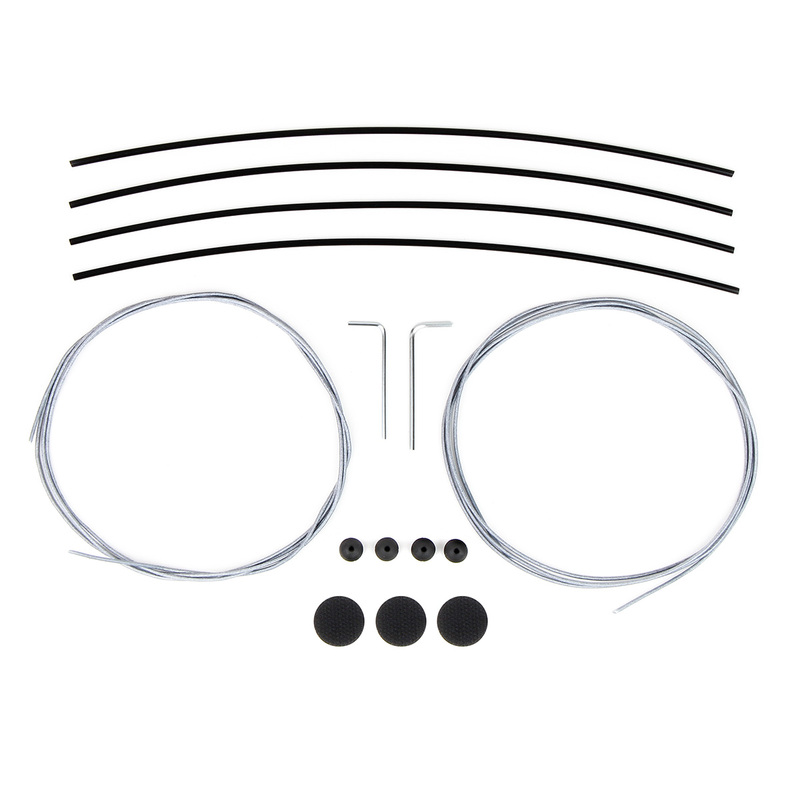 After adjusting the Cable Tensioning Dial to your desired amount of resistance, there should be between 0.10” (2 mm) and 1.00” (25 mm) of exposed Cable. If the distance is less than 0.10” (2 mm) or the Cable Tensioning Dial locks out, then try replacing the standard Tendon Back Plate pad with the included thicker Tendon Back Plate pads. If you still can’t achieve the proper tension in the cable, then you need a smaller brace. If the distance is more than 1.00” (25 mm) then you need a larger brace. Your braces come with optional degrees of extension stops to limit full extension if desired. The extension stop installed on the brace is at 0 degrees, and included are 4, 8 and 12 degree stops. • If you fall between two sizes, choose the smaller size. 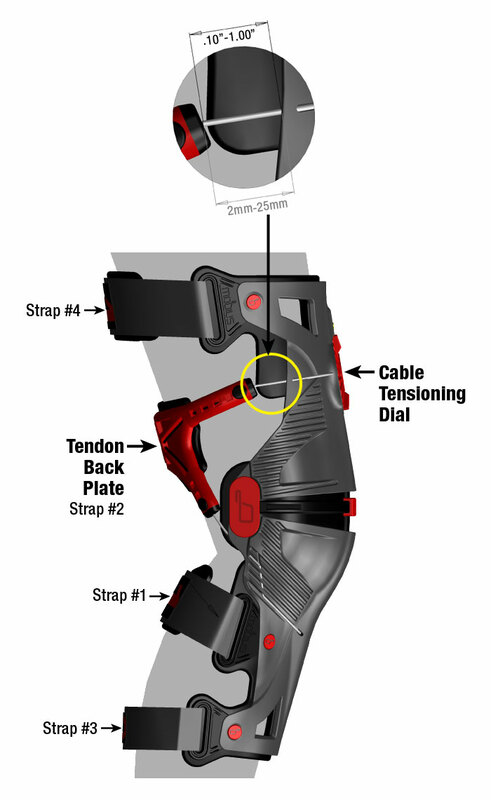 • If the #2 Tendon Back Plate contacts the shells and will not tighten any further, the brace is too large for you. Using an X8 that is too large for you will not function as designed and will not protect you properly. It may also cause premature wear of the device and may void the warranty. The cables of the X8 Knee Brace are fully replaceable. All of the necessary parts are included in our kit. ORDER YOUR BRACE AND ACCESSORIES TODAY!